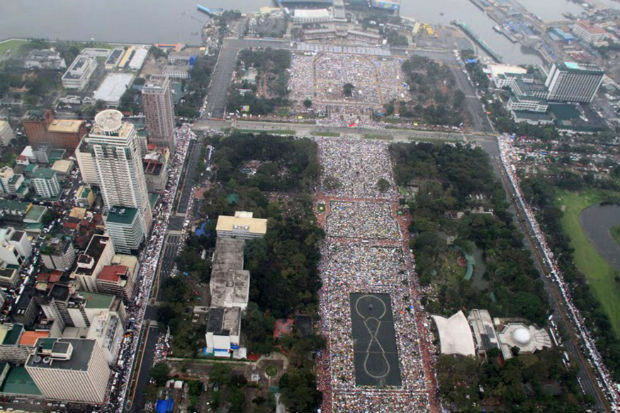 Despite continuous rain, the congregation in Rizal Park began to assemble the night before the afternoon celebration. 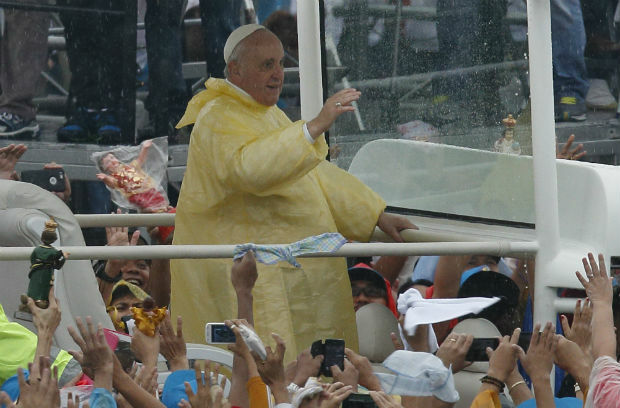 Cardinal Luis Antonio Tagle of Manila canceled other Masses throughout the archdiocese to enhance turnout. The crowd was so dense in spots that people passed hosts to fellow worshipers unable to reach priests distributing Communion. God Bless the Filipino people. They are very close to the Blessed Mother. I was up to 12 watching the Pope and Mother Theresa.